HomeBlogTulsa Gastro NewsARE YOU SPENDING TOO MUCH MONEY ON HEALTHCARE? Health care is important—even this time of year, with so many other things to spend money on, it should be a priority. Of course spending money on health care, particularly routine colon cancer screenings, doesn’t necessarily mean you have to give up other joys in life. In fact, if you manage your health care spending wisely, you can actually save money. Most Americans spend too much on health care because they select insurance plans that don’t meet their needs and/or they fail to maximize their deductibles. At this point in the year, you have obviously already chosen your health insurance plan for 2018, therefore you need to take steps to maximize your deductible. However, when you make your 2019 elections—usually around September or October at most companies—a little research will be necessary to ensure you choose a plan that ideally meets your needs. Stop wasting money. Save money on your health care now. Step 1: Check if you’ve met your deductible. Contact your insurance provider to find out if you have met your deductible or if you are close to meeting your deductible. Also ask about your coinsurance and out-of-pocket maximums. If you have met or are close to meeting your 2018 deductible, it is time to schedule those vital health care appointments now, such as your routine colon cancer screening. Don’t waste all that you have paid into your insurance coverage this year. Think about your health care needs in the year ahead. Are you due for a screening or expecting a baby? Before you pick a plan, check how well it will cover the cost of your health care needs in the next year. Think about your current health care spend and potential cost increases. How much did you spend on premiums, copays, coinsurance, prescriptions, and other out-of-pocket expenses? Will your deductibles, coinsurance, and/or copays increase? All of these factors need to be considered when selecting a new plan. Think about your preferred health care providers. Are your preferred providers still in network on the plans you’re considering? If not, you risk running up a big bill for out-of-network care. If you take prescription medications, make sure you’re clear about how much of their cost an insurance plan will provide and if it charges a higher copay or coinsurance. Otherwise, your chosen plan could result in a large bill. Ask about an FSA or HSA. Flexible spending account (FSA): These are available with most insurance plans and can provide worthwhile tax savings. Health savings accounts (HSA): These are available to you if you choose a high deductible health plan and offer even more savings and benefits. If your employer does not offer one, you can still apply for one at certain financial institutions. 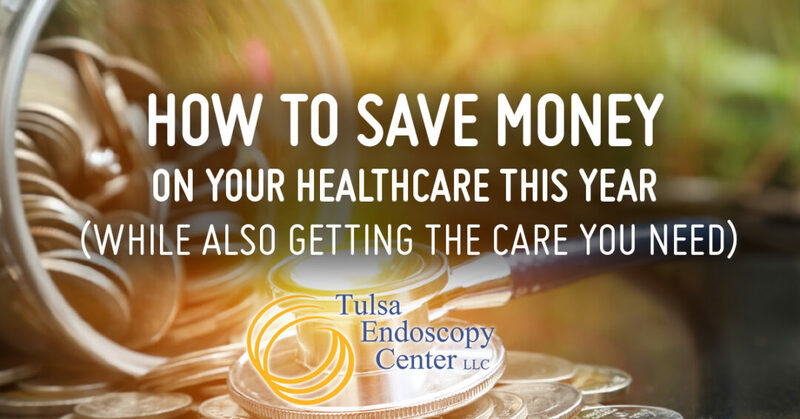 Remember, whatever your health needs and your budget, independent ambulatory surgery centers like Tulsa Endoscopy Center offer affordable, quality care. Whether you are considering health care options for the new year or need care right now to maximize your deductible, the team at Tulsa Endoscopy Center is ready to help. They can answer your questions and advise you on payment plans and affordable options for your GI health care. Contact the center today to learn more or schedule an appointment.